A leading ballerina of the twentieth century, Distinguished Professor Violette Verdy was a principal dancer with the New York City Ballet for twenty years and performed as a guest principal artist with major companies in America and Europe, such as the Metropolitan Opera in New York; the Royal Ballet at Covent Garden; the Paris Opera Ballet; and the Stuttgart, Munich, and Hamburg Ballets. During her career, she premiered the title role in Birgit Culberg’s Miss Julie at American Ballet Theater, and upon joining New York City Ballet, George Balanchine created many roles for her, including ones in Liebeslieder Walzer, Episodes, Jewels, Tchaikovsky Pas de Deux, Glinkaiana, Sonatine, La Source, Pulcinella, and A Midsummer Night’s Dream. Jerome Robbins also crafted roles for Verdy in Dances at a Gathering, In the Night and Beethoven Pas de Deux. Verdy is the former Artistic Director of the Paris Opera Ballet and Boston Ballet, and she has taught and choreographed for dance companies and schools throughout the world, including New York City Ballet, The Royal Ballet, Paris Opera Ballet, The Australian Ballet Company, The Royal Danish Ballet, The Ballet of Teatro alla Scala, Hamburg Ballet, and The Bolshoi Ballet Company, where she was the first outside female teacher invited since 1917. Verdy has been the subject of two biographies: Ballerina by Victoria Huckenpahler and Violette Verdy by Dominique Delouche and Florence Poudru; and of three documentaries: Violette, A Life in Dance, Violette et Mr. B. and Violette Verdy: The Artist Teacher at Chautauqua Institution. Verdy has published children’s literature, has appeared in stage, on film, and was featured on British, French, Canadian, and American television. 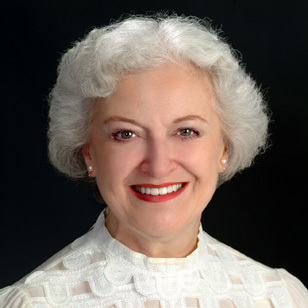 Violette Verdy is the recipient of numerous awards and recognitions, mostly notably the French medals Chevalier de l’Ordre National de la Légion d’honneur (2009) and Chevalier de l’Ordre des Arts et Lettres (1973), and she holds honorary doctorates from Goucher College, Boston Conservatory and Skidmore College. On two separate occasions in 1976, President and Mrs. Ford invited her to dance at the White House and the Capitol, and just last year, the School of American Ballet honored her with the Mae L. Wien Faculty Award for Distinguished Service. Currently, Verdy serves as Artistic Advisor to the Rock School of Ballet, Philadelphia; Principal Guest Teacher to the School of American Ballet, New York City.